Rumors about Bugatti building a SUV has been circulating around for quite some time but its CEO made it clear that it won't be making such a model despite many other high-end brands like Bentley, Lamborghini and Ferrari going to build or built one. 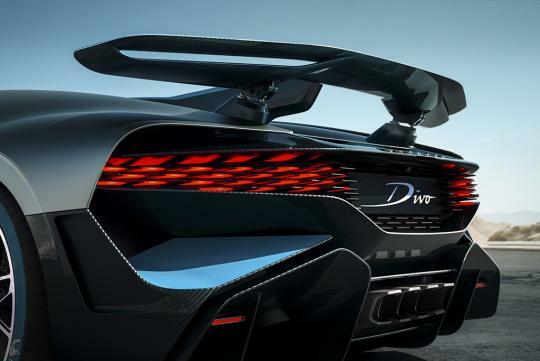 Stephan Winkelmann then added on that “there will be no SUV from Bugatti”, as such a vehicle “would not do justice to the brand or its history”. Instead, as part of its 110th anniversary celebrations, it is likely that Bugatti will be coming out with more special editions of the Chiron similar to the Divo. The production run of the Chiron will last all the way till 2021 when the 500th and final example will leave the factory. Meanwhile owners of the special edition Divo will get their car starting from next year. Good that Bugatti is sticking to its heritage. Please don't do another BMW X6 - looks like a transvestite. Split Coupe and SUV personality. Nowhere here nor there.